This beautifully illustrated book is a dream for architecture aficionados and reveals how the world's most iconic skyscrapers were built - including the tallest building in the world, the Burj Khalifa - which is only due to be superseded in 2020. Each lavish spread comprises detailed cross-sections, information on the construction and fact boxes containing key dates and materials. Extended captions will provide the historical context and information about the architect. Skyscrapers have been piercing the clouds since the end of the nineteenth century. As real estate prices soar, the only way to build is up, and developers are always trying to build bigger, better and higher than anyone else. 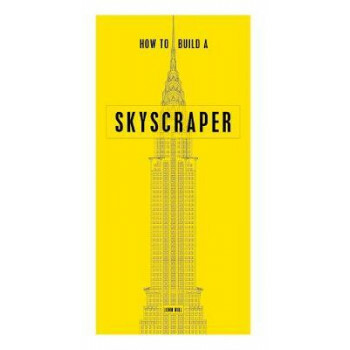 How to Build a Skyscraper gives you the low down on the high buildings that loom over us in cities around the world.